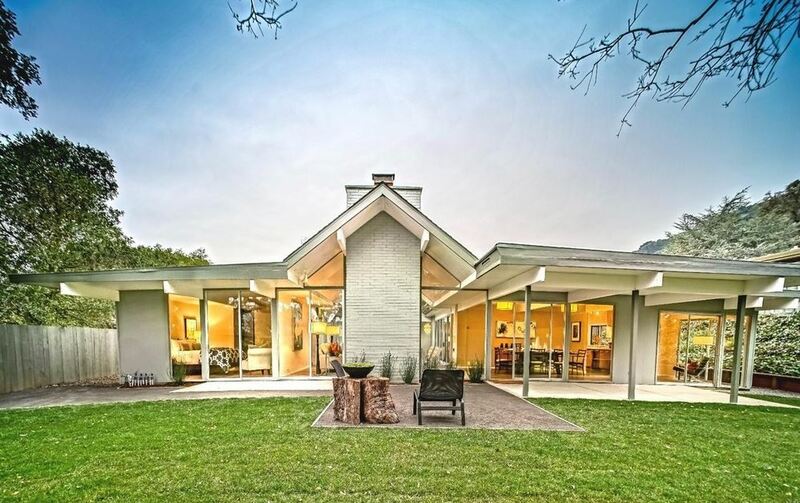 Mid-century modern sophistication foud in spades at this double A-Frame Eichler. Five bedrooms provide ample privacy and space, while the home benefits from solid white oak engineered wood floors, updated kitchen and appliances. Enjoy gorgeous landscaping from a granite patio.